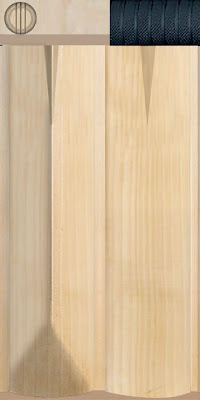 Hello everyone, you must have surely heard for ZAX-256 BatPack and the latest AC Studios 256 BatPack. They have put in lots of efforts with all the bats and have released every bat as a complete batpack. This is a tutorial that describes you how to create bats in EA Sports Cricket 2007, or probably making bats in Cricket07 for beginners only. For professionals, you already know this and rather do scratch making! 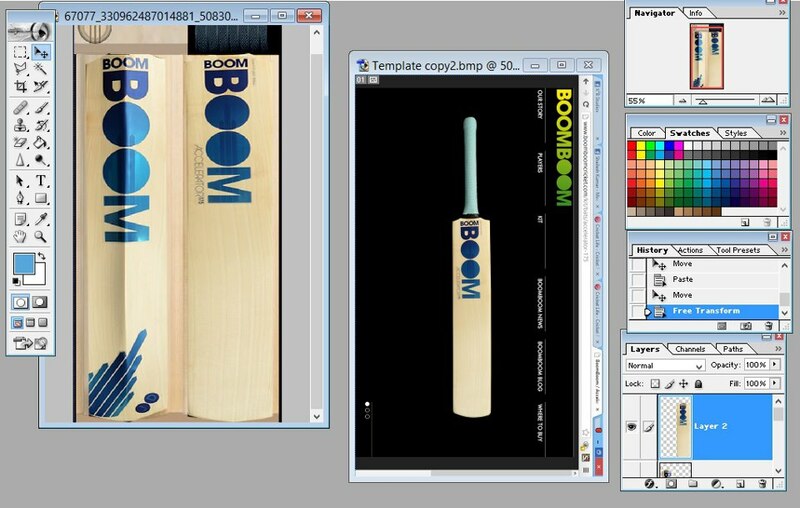 You may also create your own custom bat! Please follow each and every step to achieve the best result(s)! 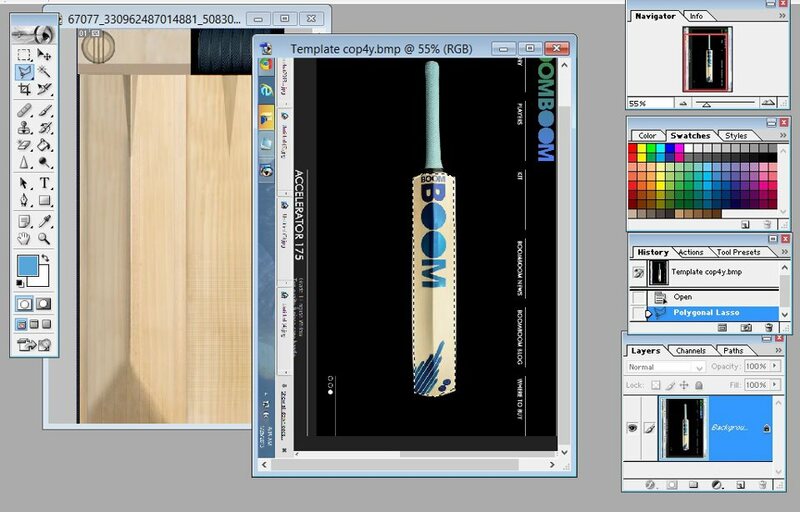 This tutorial is made by Kashif from CricketLife, I have modified it so that’s user friendly and advanced for the pro’s and useful to the noob’s. Used with permission. 2.Open up the bat template and an HQ picture of the bat you want to make(make sure it has all the clear views) and use the polygonal tool to copy the stickers of the bats. 3.Press Ctrl+T to re-size and assign the stickers to their area. 4.This is the step where the magic will happen.Do the right click on the eraser tool, and you’ll get 3 options, select magic eraser tool. 5.Use the magic eraser tool on the wooden parts of the stickers. 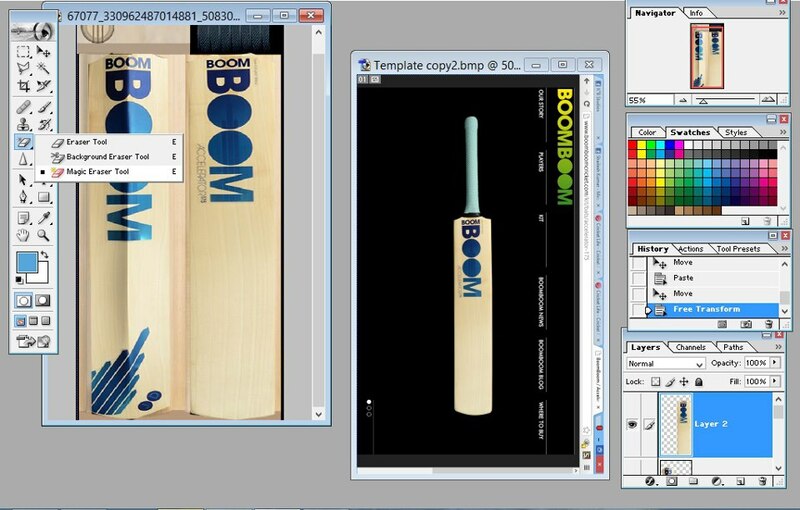 6.Go to the layers list, and change the layer to the other side of stickers. 7.Then use the Magic eraser on the other side. Instead of using the Magic Eraser tool, use Polygon Lasso Tool or the Pen Tool to render out the stock logos and add it to the bat template. 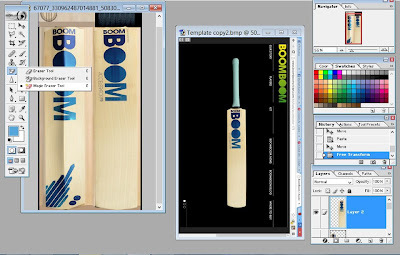 About it’s edges, if they don’t match with the bat’s colour, change the Hue/Saturation of the bat and blur the logo’s edges using the blur tool. Sometimes, feather is also useful. To change the colour of the handle or anything, create a new layer, fill it with the colour you want, and then change the blending option to multiply. Hope that was useful, if you face any errors or have any queries/doubts regarding this tutorial, please feel free to drop a comment ask Ayush below. what is the software? please please please please reply please! After create bat How to get Preview? OK I can’t get any working version of FshEd, can you give some link or upload it?